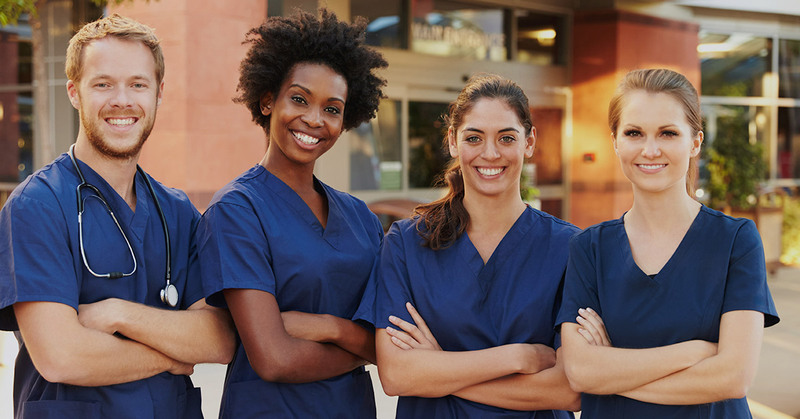 While there is a well-known shortage of registered nurses, current U.S. Immigration laws can make it difficult for foreign-educated nurses to obtain jobs. It is important for those interested in pursuing this avenue to obtain the proper visas and paperwork from the U.S. Citizenship and Immigration Services department. There are eight key steps foreign-educated nurses will need to take in order to obtain a position as an RN in a U.S. hospital. 2. Take and pass an English language proficiency test, if mandated. Licensed practical nurses, licensed vocational nurses, and patient care assistants are not eligible to transfer their licenses to the United States. While the aforementioned are required, most states also require foreign-educated nurses to complete a Foreign Educated Nurses (FEN) refresher course. The course consists of 120 hours in the classroom and 120 hours of clinical practice under the supervision of a licensed Registered Nurse. After meeting the initial education requirements, some foreign educated nurses must take and pass the Test of English as a Foreign Language (TOEFL), the Test of English for International Communication (TOEIC) or the International English Language Testing System (IELTS). This will vary depending on the country of origin and results are sent directly to the state nursing board. Nurses who went to nursing school in the United Kingdom, Australia, New Zealand, Canada (except Quebec), or Ireland are exempt as are those whose spoken language in nursing school was English and/or the nursing school textbooks were written in English. After ensuring you meet the education and language requirements it’s time to apply for the NCLEX in the state of intended employment. Registration with Pearson Vue is required and costs $200 plus additional foreign fees. According to the webpage, NCLEX examinations are currently administered in Australia, Canada, England, Germany, Hong Kong, India, Japan, Mexico, Philippines, Puerto Rico, and Taiwan. The Commission on Graduates of Foreign Nursing Schools (CGFNS) is a company that is employed by State Boards of Nursing to ensure that applicants meet the basic requirements and are fit to take the NCLEX. Established in 1977 after a thorough investigation of the immigration of foreign-born and educated registered nurses, the U.S. Department of State and Labor developed the Commission with a dual purpose: to ensure safe patient care to Americans and to help prevent the exploitation of graduates from foreign nursing schools who are employed in the United States to practice. This company specifically will go through all nursing school transcripts and education history from your home country. While this company is the most popular and most well known - it is expensive and each state requires different levels of credentialing. This report is less involved and cheaper than the Certificate Program or VisaScreen. It provides the basic information for the State Board of Nursing and only a handful of states accept this. The same requirements as the CGFNS Certification Program but will qualify the individual for a Work Visa after successful completion of the NCLEX. You’ll also need to pay a $540 fee. The next step is to obtain an employment visa. There are several options for these nurses but nurses must have sponsorship from a staffing agency. It is easier for foreign nurses to work with an independent staffing recruiter and agency then directly with a hospital. Agencies are well versed in helping nurses work in the U.S. and have systems in place in order to ensure all information and paperwork is completed accurately. Mexican and Canadian nurses may work in the United States with a special TN visa if the individual has an offer of employment, a license to practice in their home country, and pass the NCLEX and state licensure requirements. Nurses who hold a four-year degree and fulfill a specialized nursing role may qualify for an H-1B temporary work visa and then apply for a green card once stateside. These specialized roles include critical care nurses, emergency room nurses, and/or cardiology nurses. It is important to note that there a very limited number of H-1C visas available to nurses who want to work in very specific hospitals in underserved communities. The majority of foreign-trained nurses will need to obtain a permanent work visa, otherwise known as a green card. This application needs to be completed prior to travel to the United States and the visa must be obtained before immigrating legally.